Kids love! Clients love! I love CHICKPEATOS! Opening the package is heavenly! I closed my eyes and breathed in cinnamon love. It SMELLS like lazy weekend breakfasts. It’s truly Sunday morning French toast tucked neatly in a flashy purple pouch! 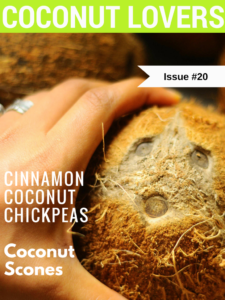 Popping a huge handful in my mouth I quickly discover cinnamon and coconut love with a huge crunch! 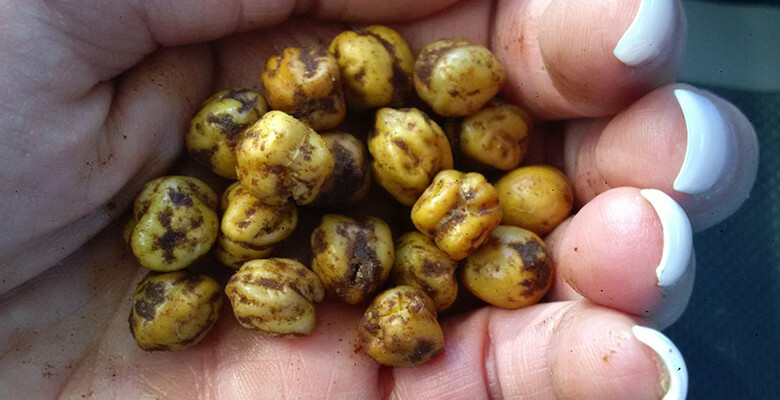 Chick peas are one top notch legume! Crammed full of protein, complex carbohydrates, iron and fiber. Coconut oil is a healthy saturated fat! Coconut oil is available energy. It’s not stored as fat and even speeds up metabolism. 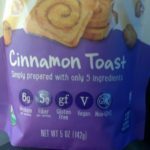 Cinnamon Toast Chickpeatos are a grab and go delight for all ages! Just 5 ingredients make Chickpeatos ooze scintillating coconut with a cinnamon twist! 1/3 cup serving is an ideal snack! The numbers don’t lie! GREAT on the go snack or binge bonanza without the guilt! They are nut free, gluten free and vegan! Who doesn’t love the smell and taste of cinnamon French toast everyday!